STARDOLL FREE | Underneath Stardoll Blog: Two new friend options. There are now two more friend options- change into Colleague and Change into Neighbor. 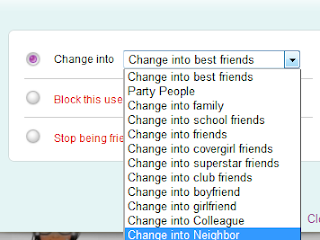 Do you like these new options, and will you be changing any of your friends into these?